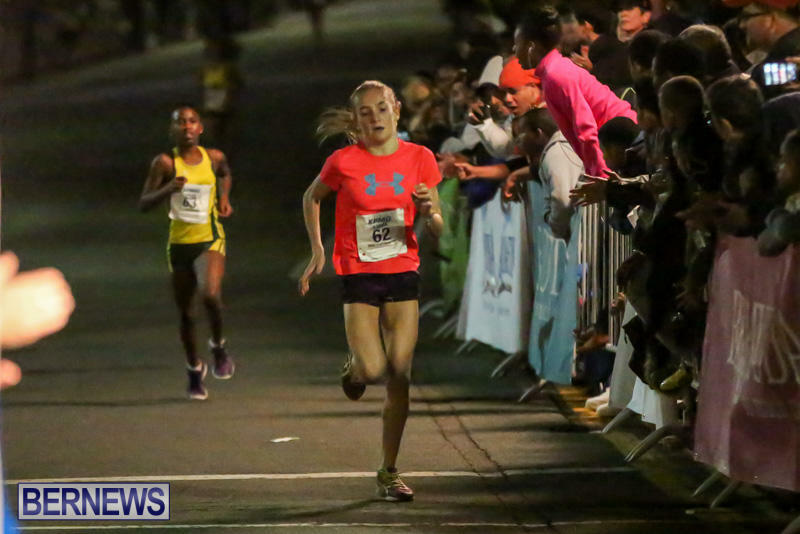 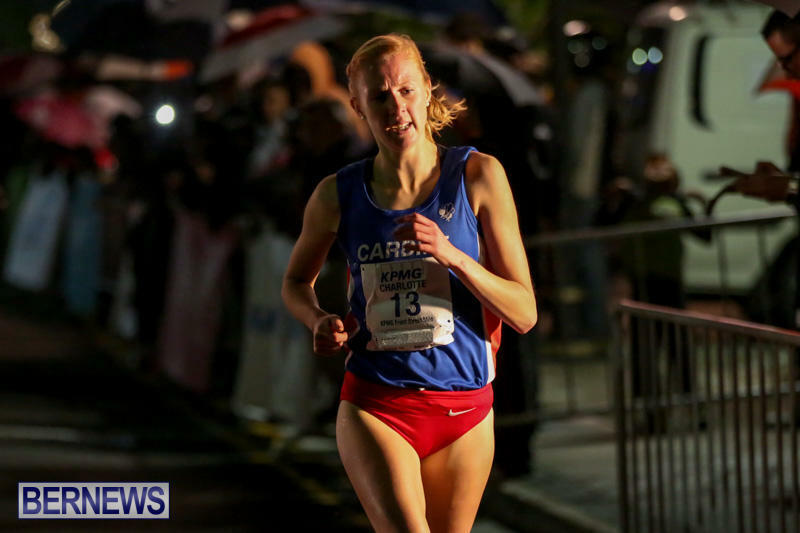 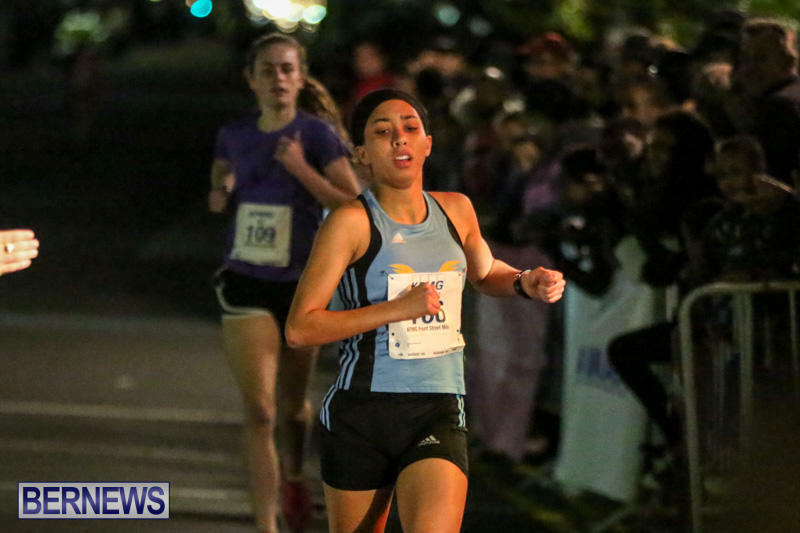 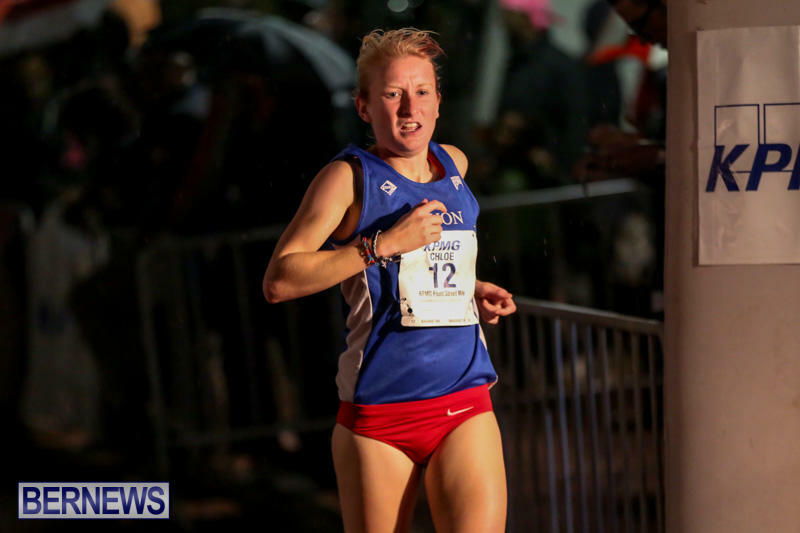 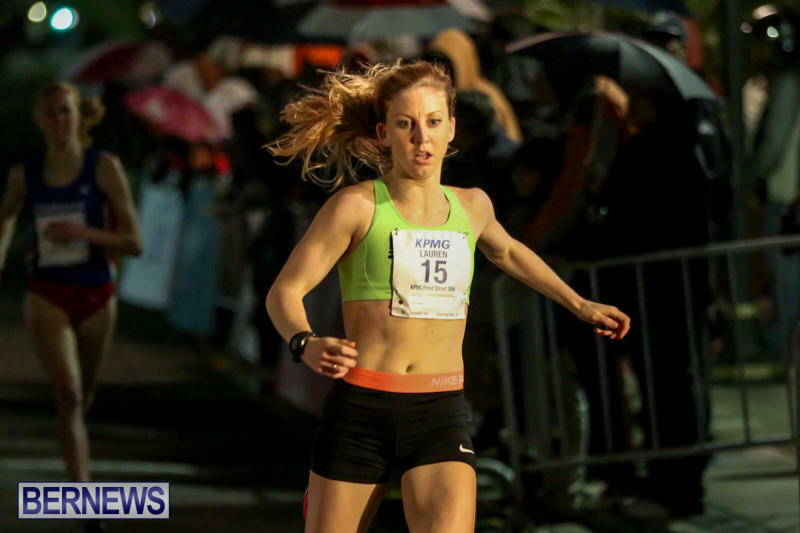 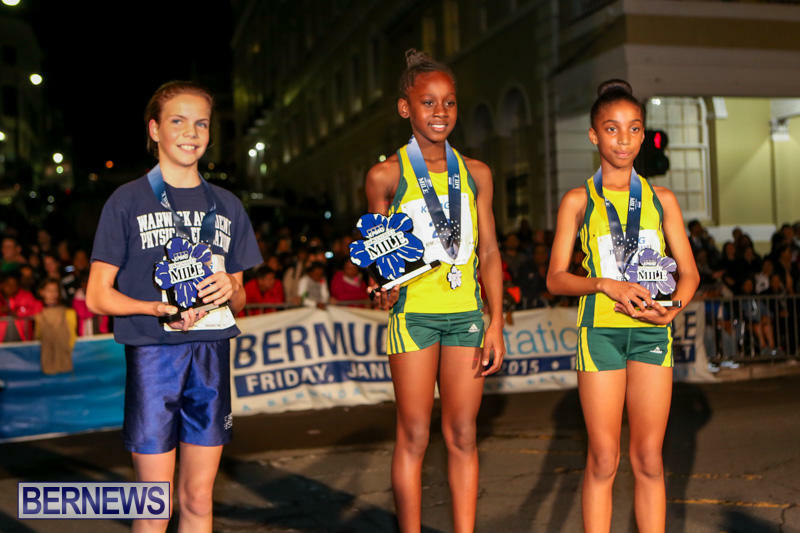 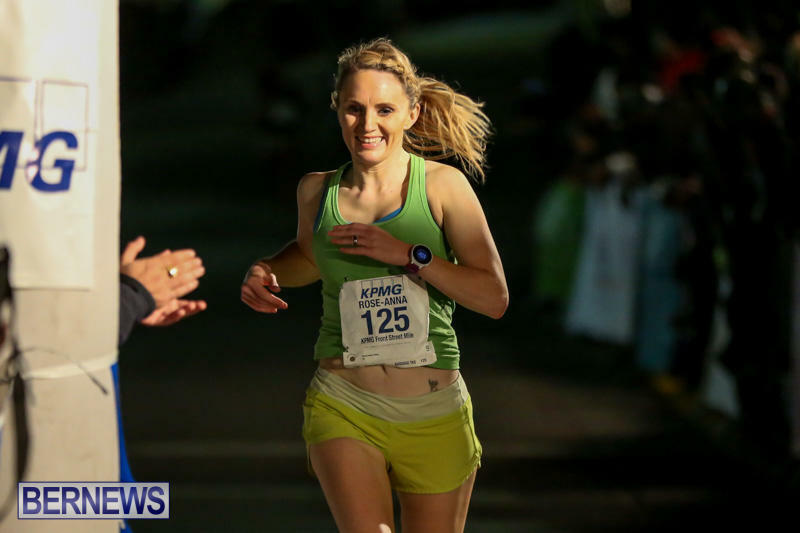 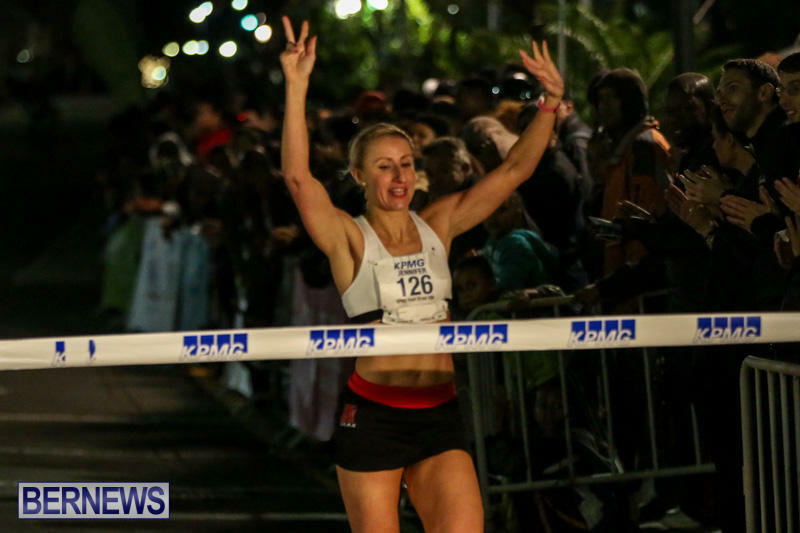 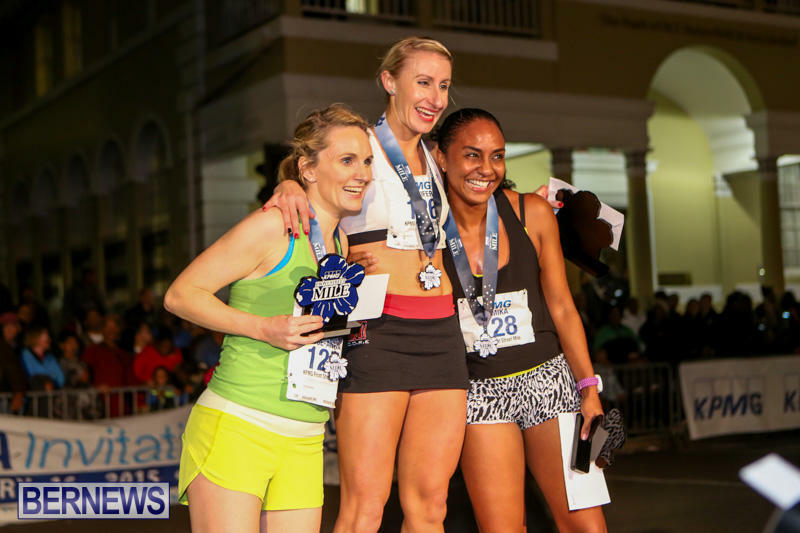 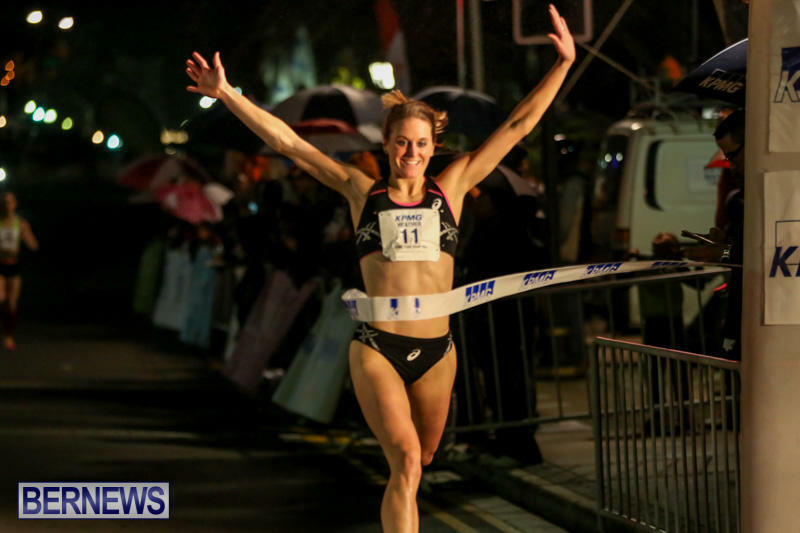 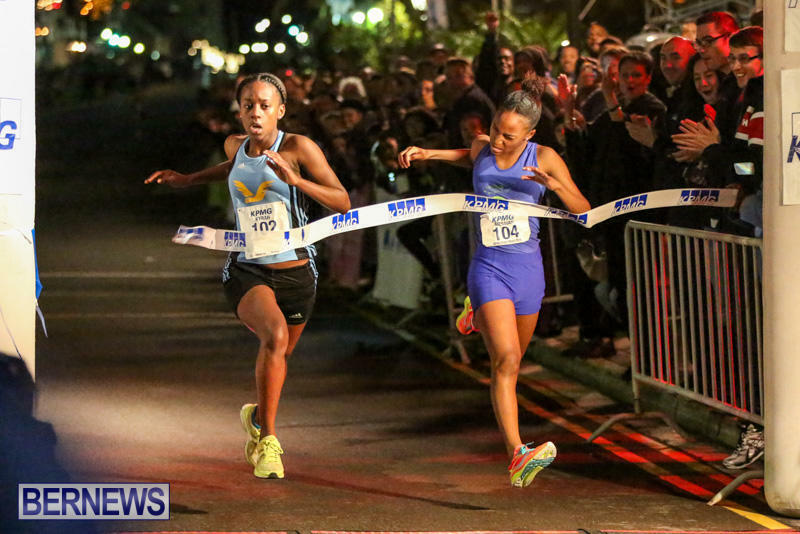 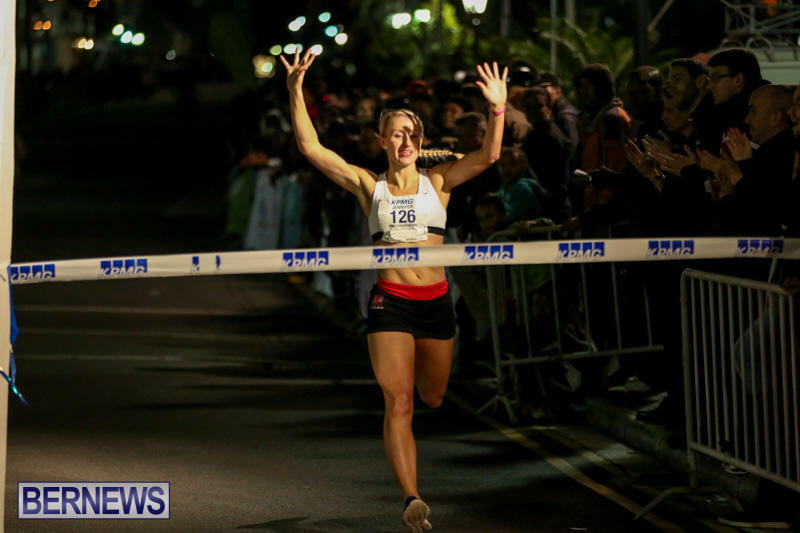 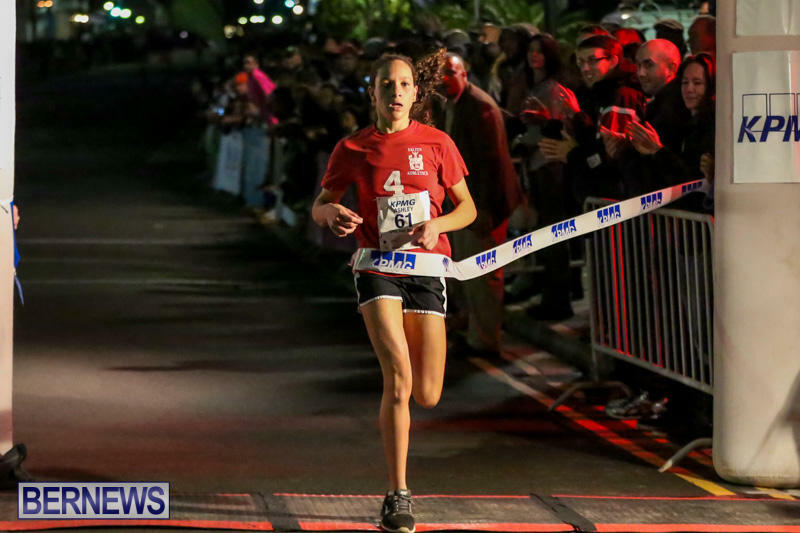 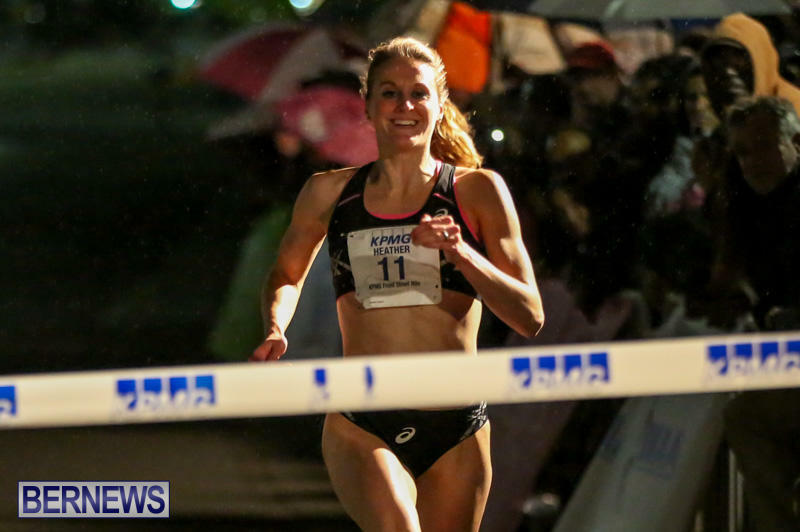 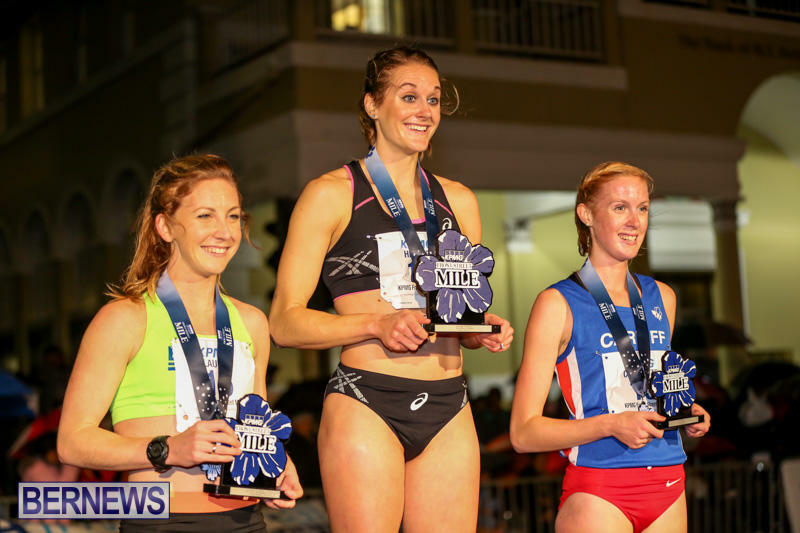 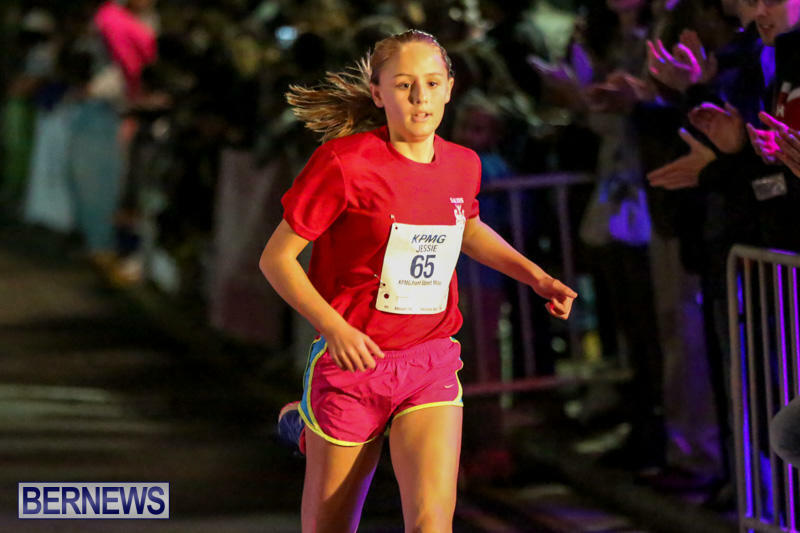 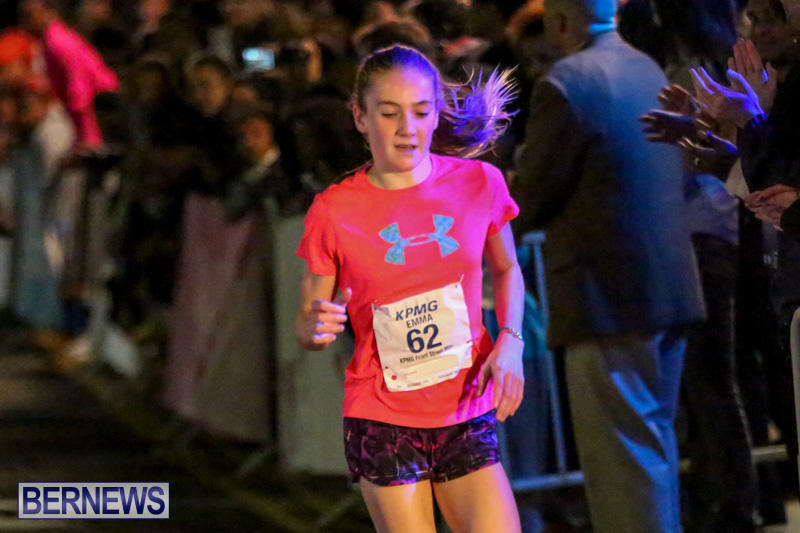 On Friday [Jan 15] the 2016 KPMG Bermuda Front Street Mile will take place, with this year’s race to see three time winner Heather Kampf and two time winner Kenia Sinclair compete against each other for the first time. 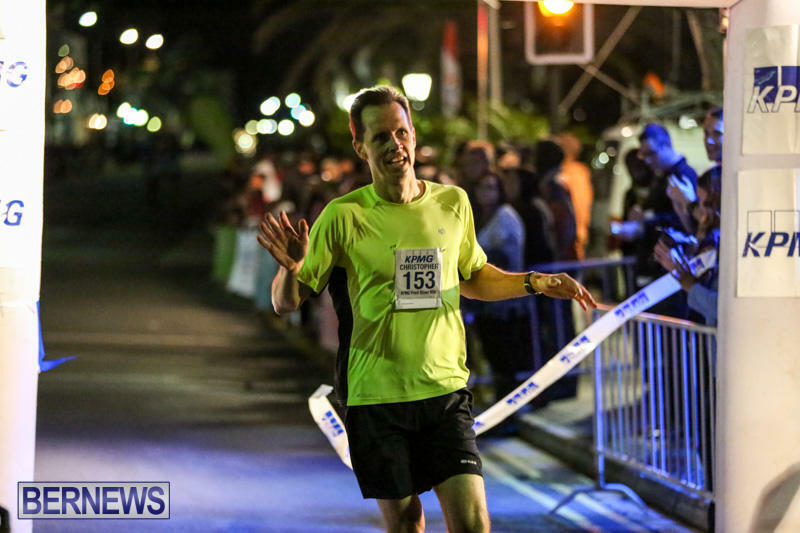 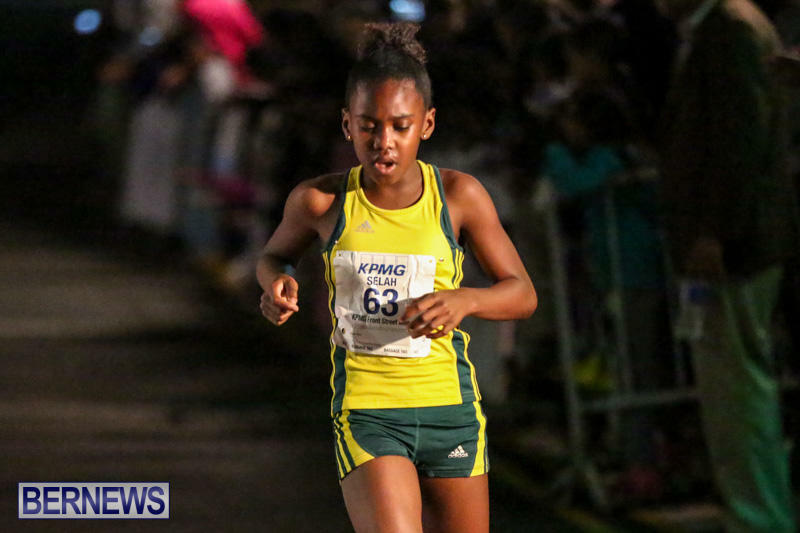 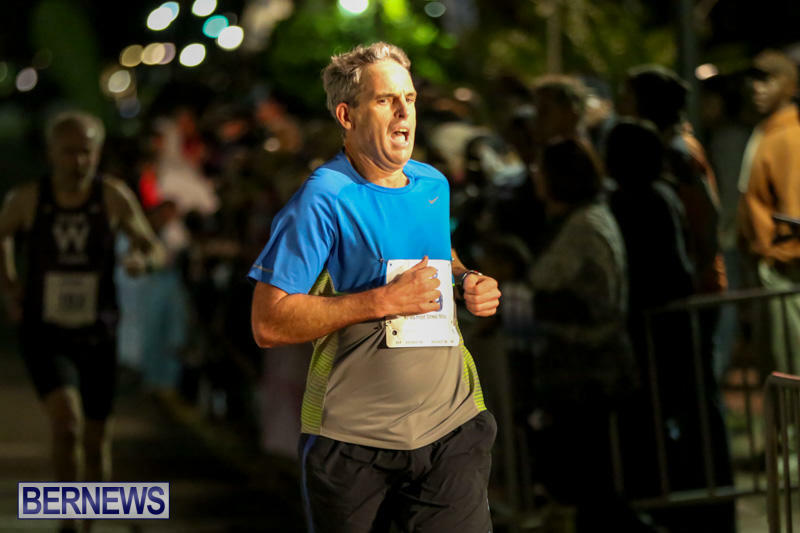 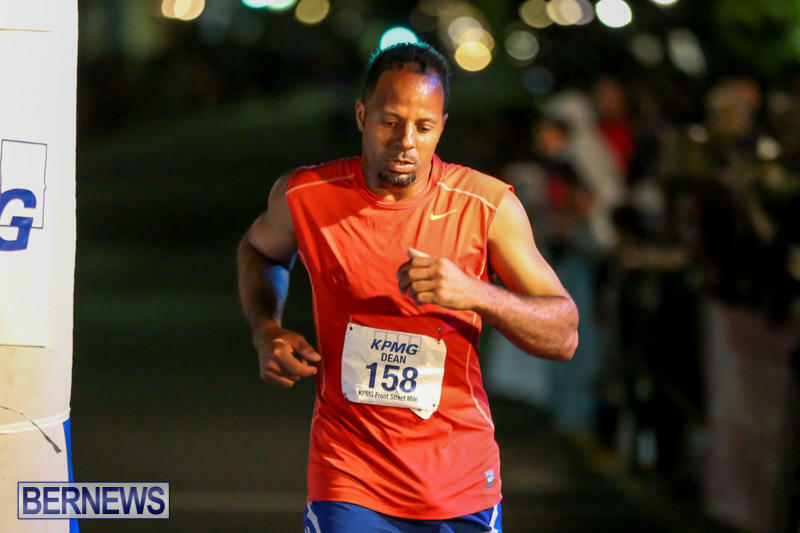 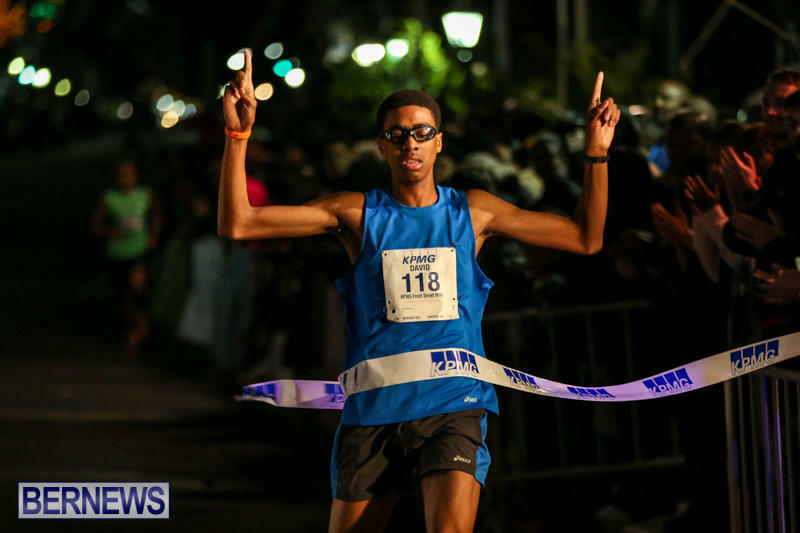 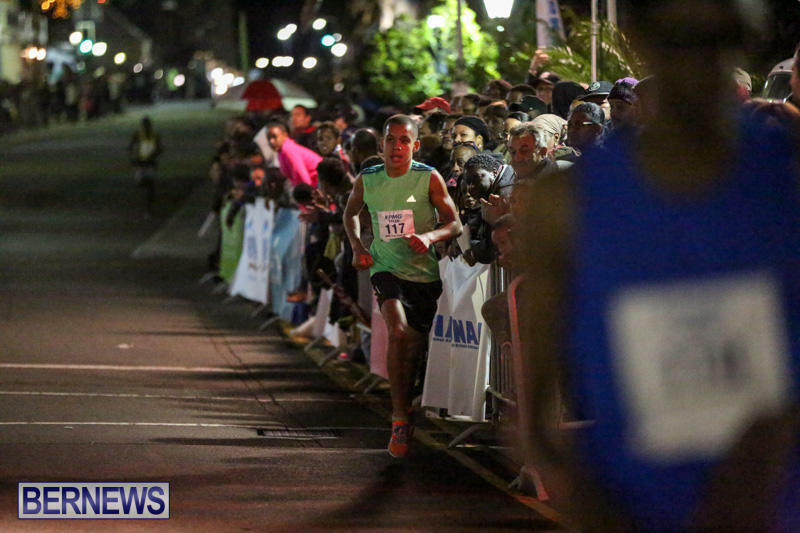 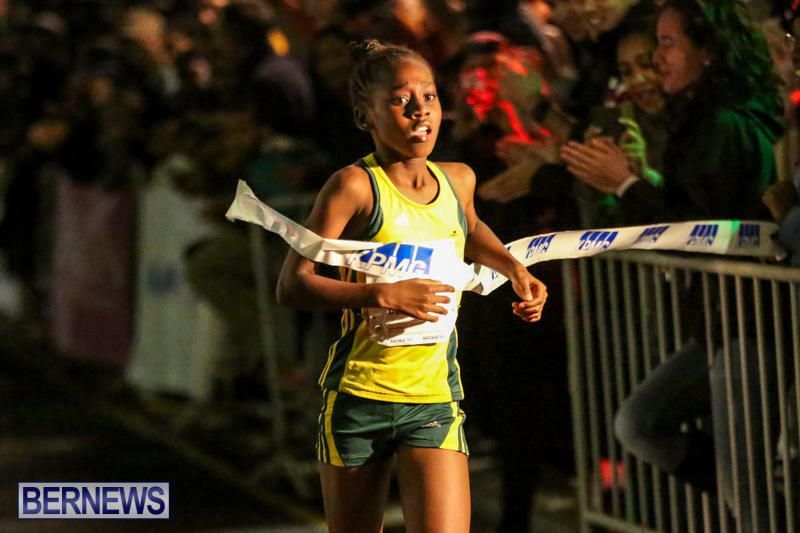 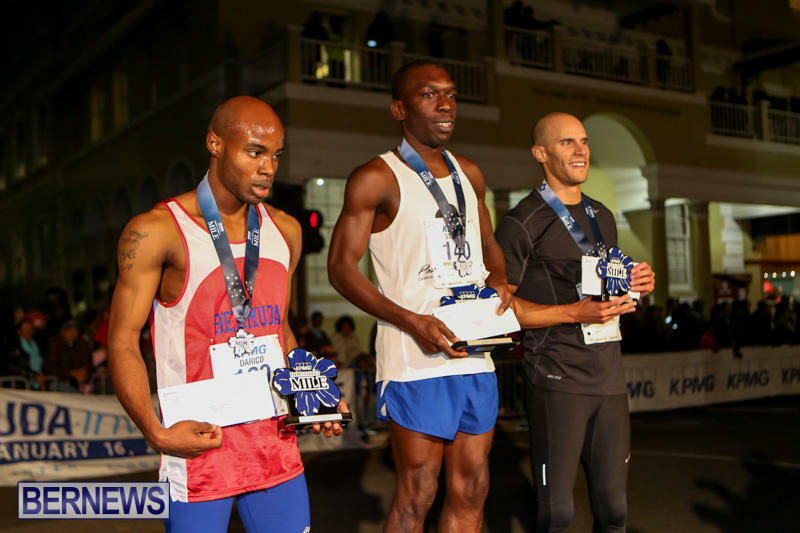 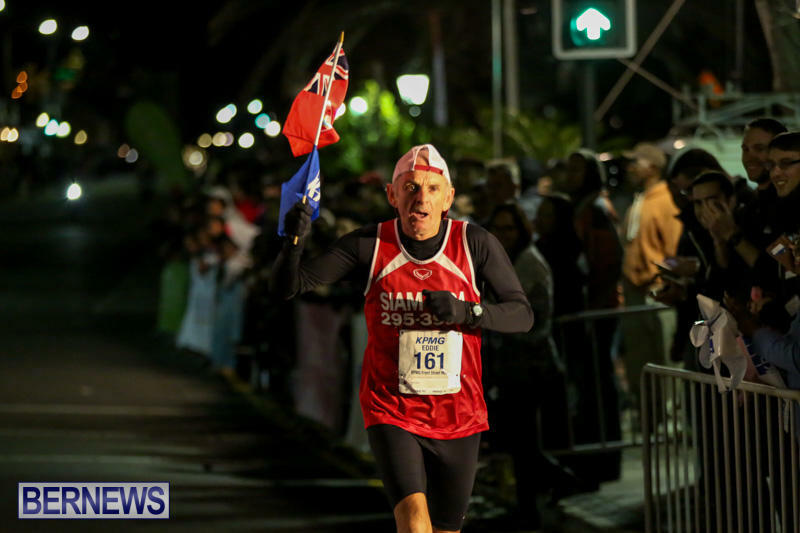 A KPMG spokesperson said, “Mark your calendars – On Friday, January 15, 2016, we will see huge crowds flock to Front Street for the 2016 KPMG Bermuda Front Street Mile. 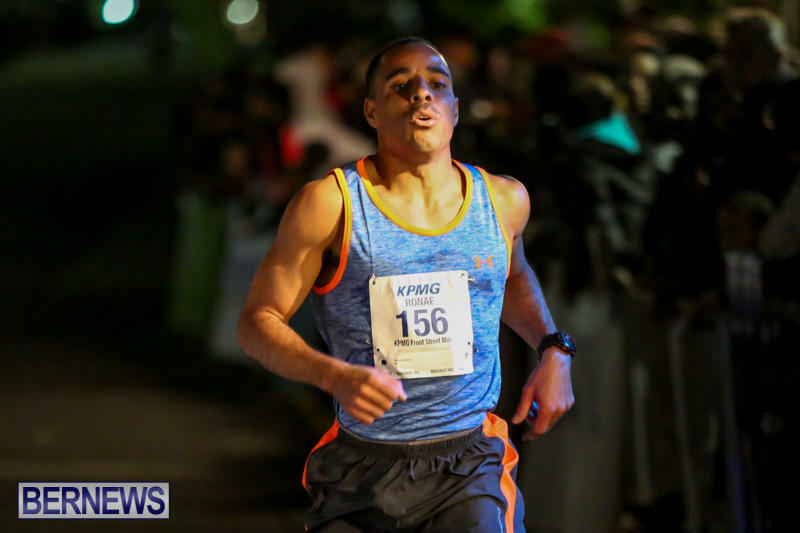 “As part of KPMG’s ongoing commitment to the community, KPMG continues to work with the Bermuda National Athletics Association to bring KPMG’s core values to life, defining who we are and what we stand for; fulfilling our aspiration to be the best professional services firm. 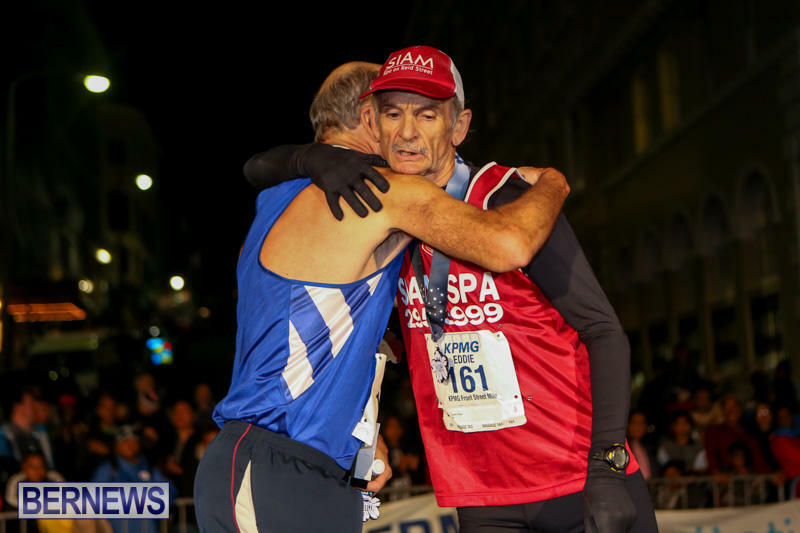 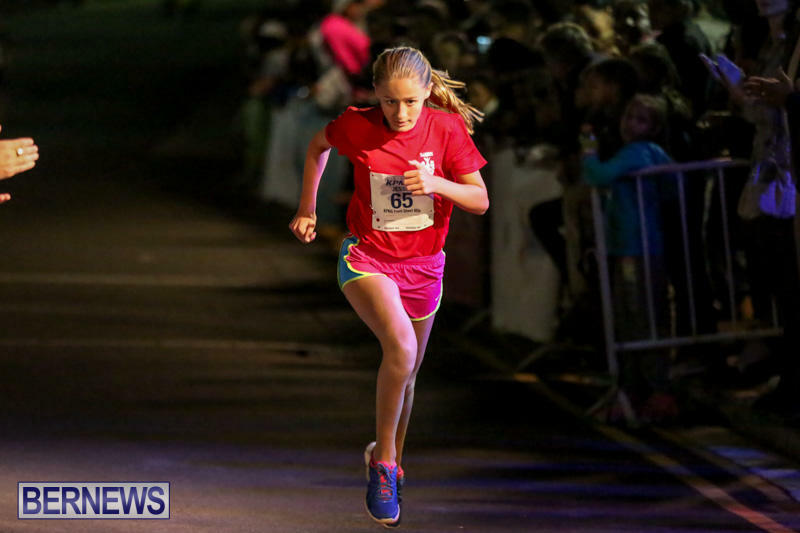 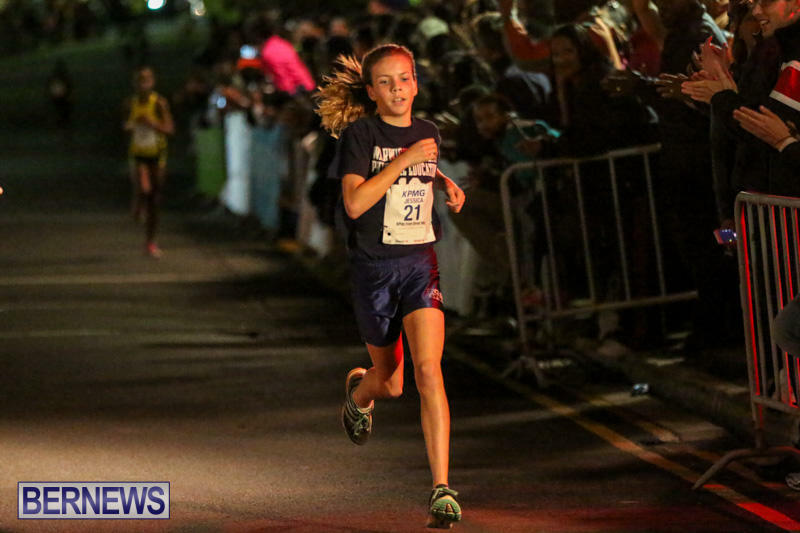 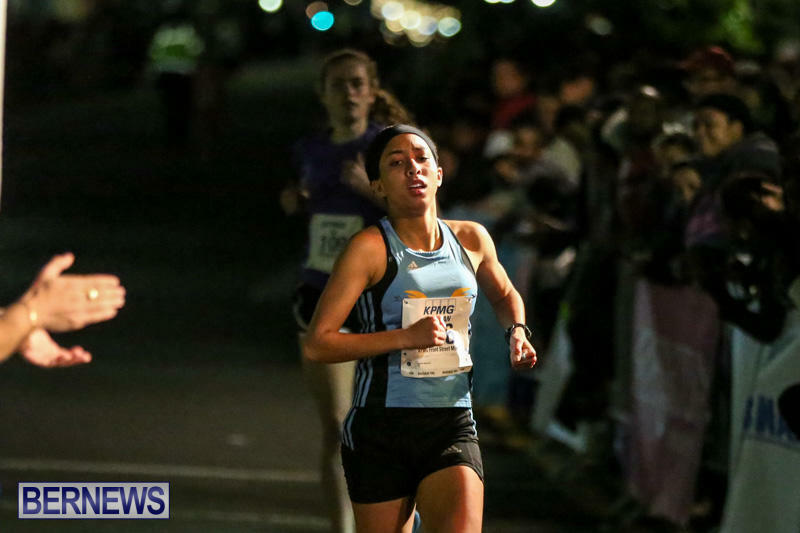 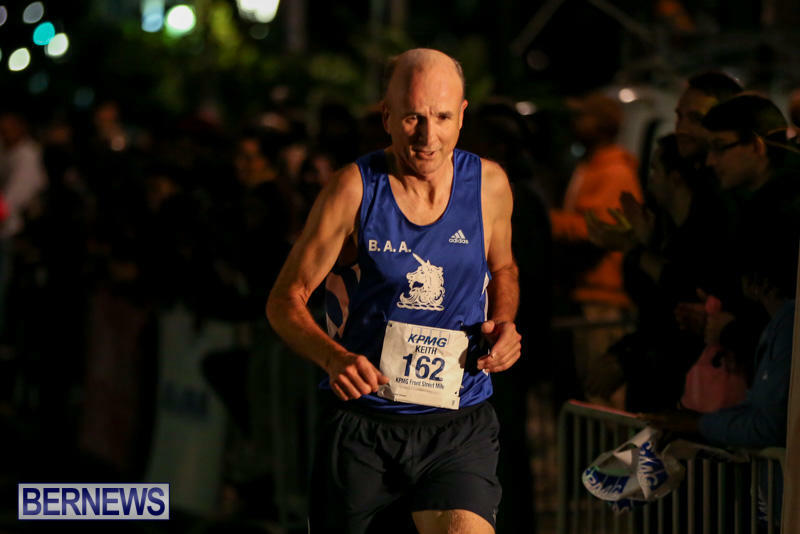 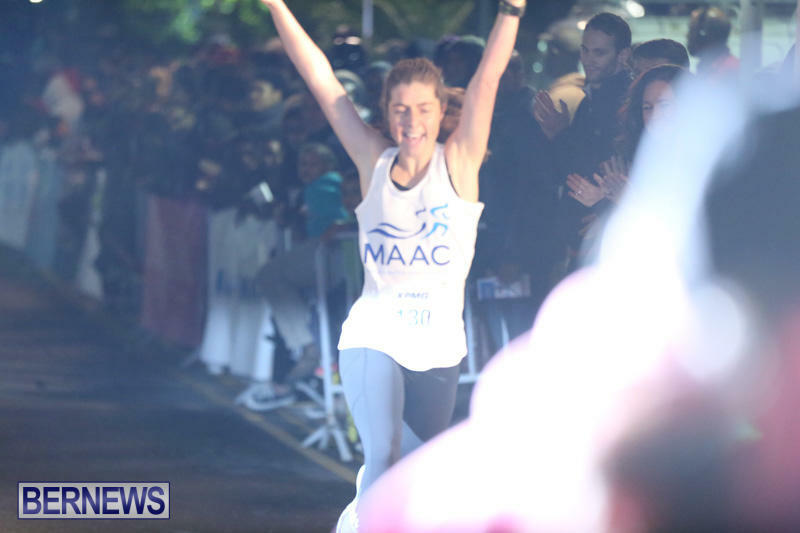 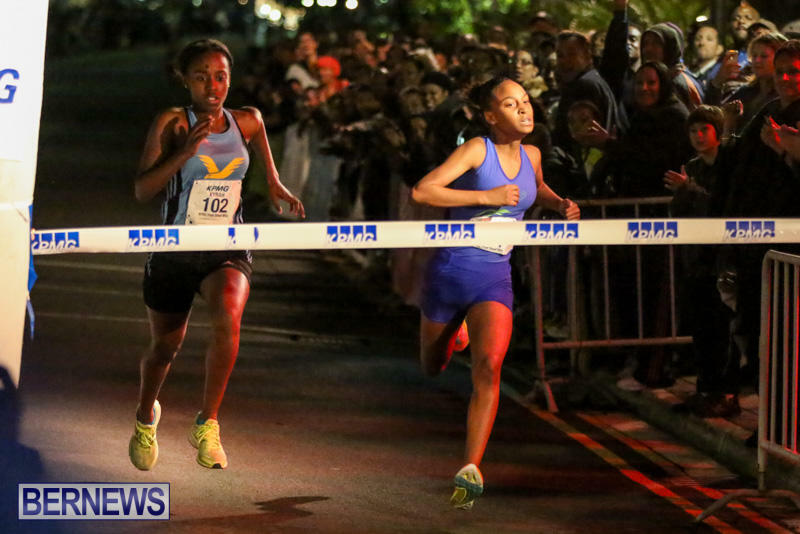 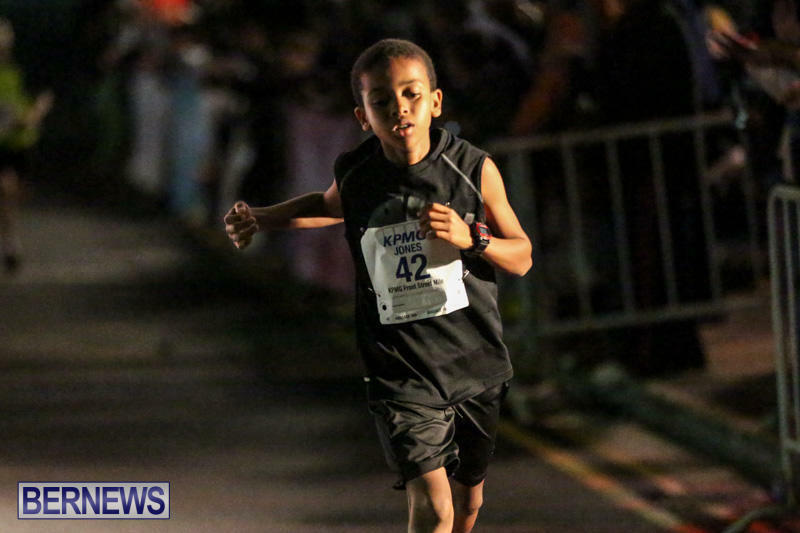 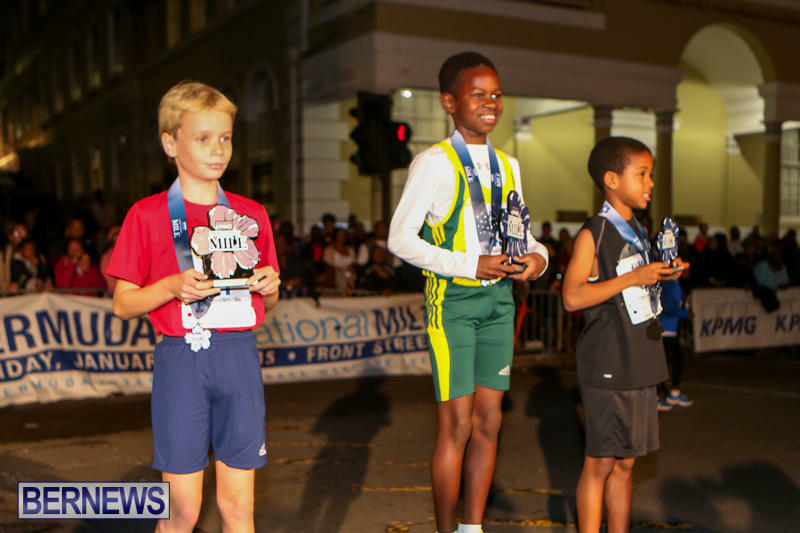 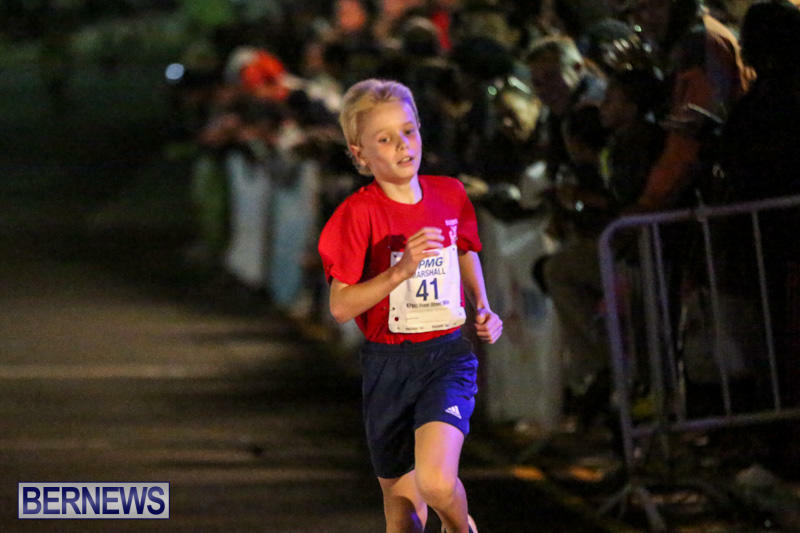 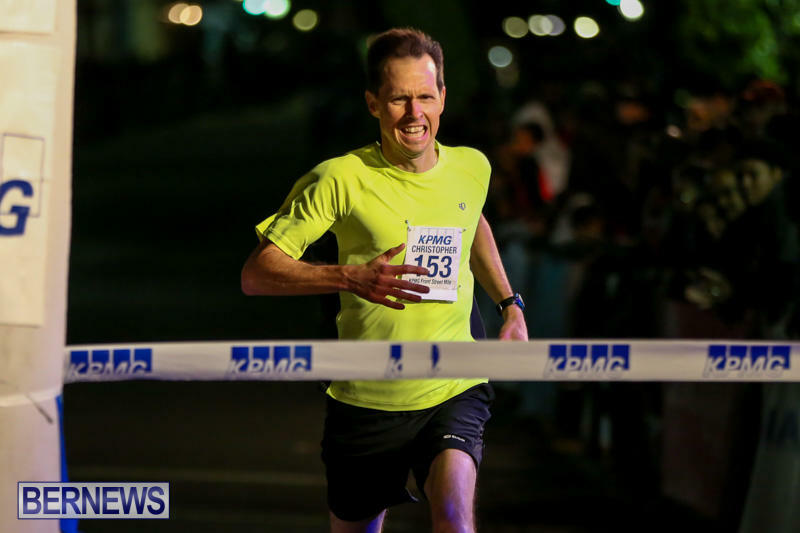 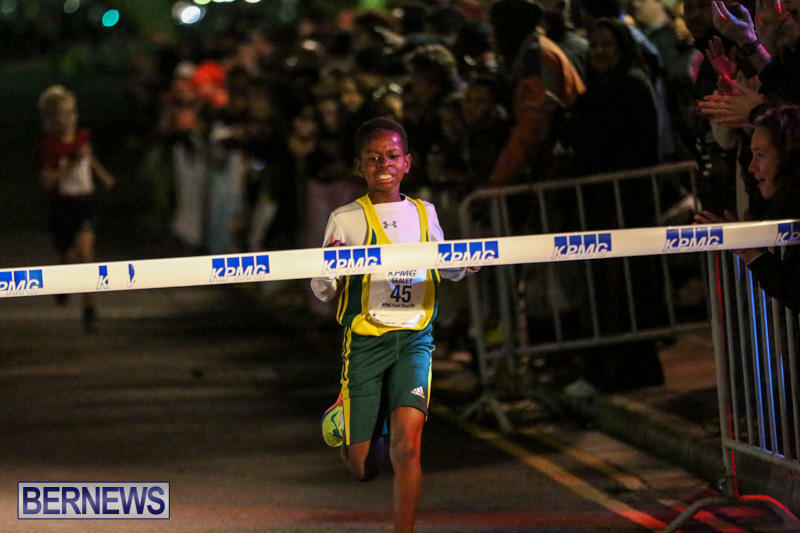 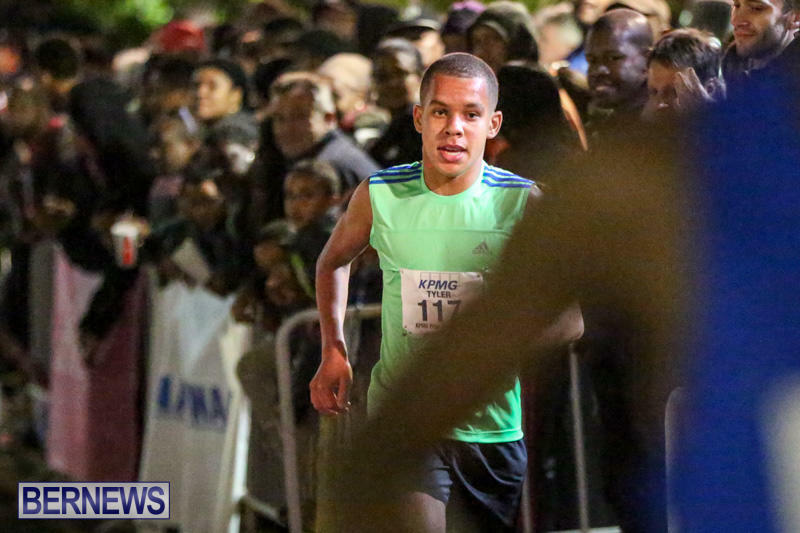 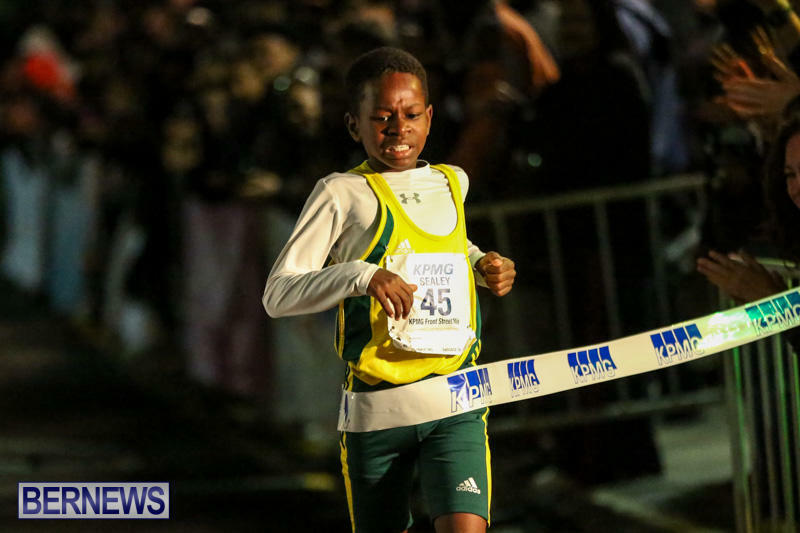 “In preparation for the 2016 KPMG Front Street Mile, the BNAA held the race trials on November 27, 2015. 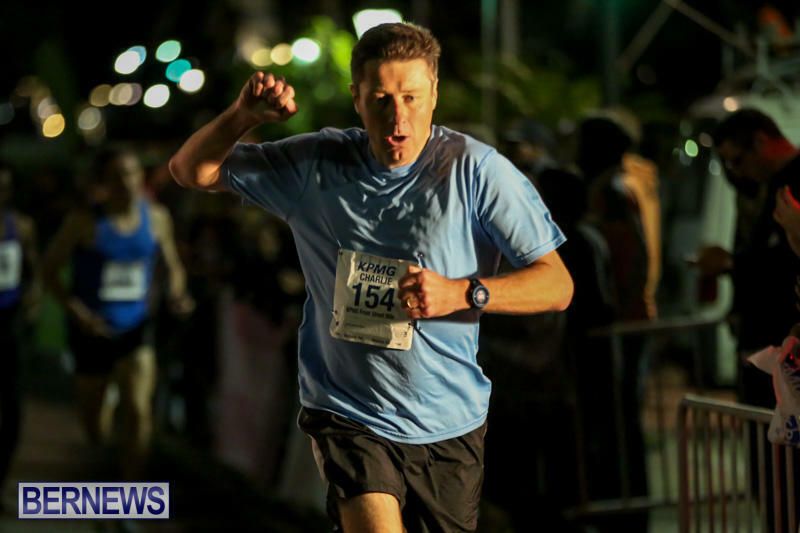 Over 200 running enthusiasts and specialists competed for one of the 20 spots in their respective category all aiming to finish in under 8 minutes. 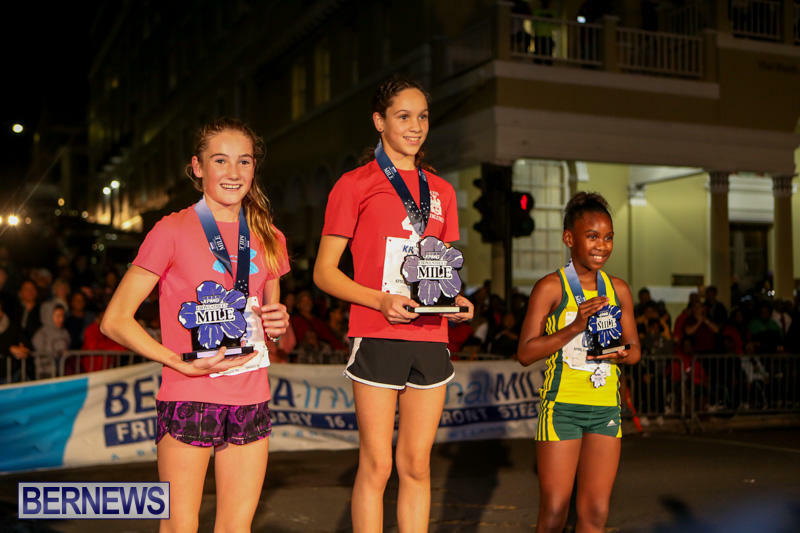 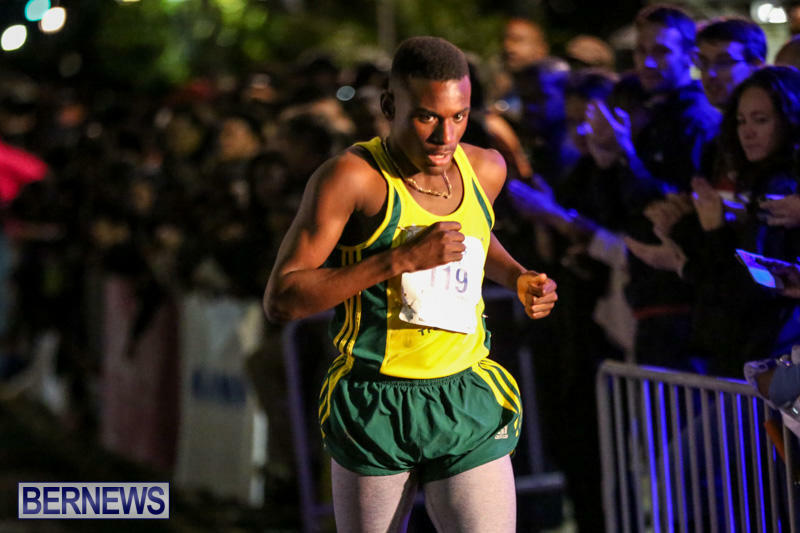 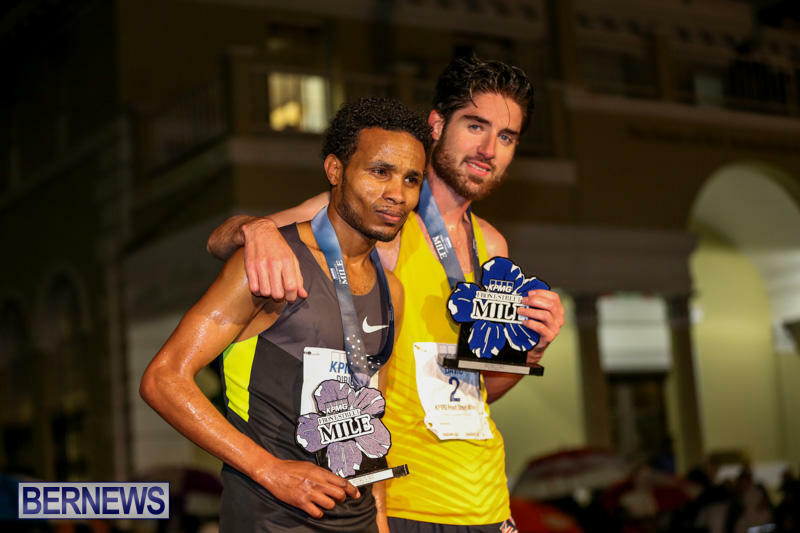 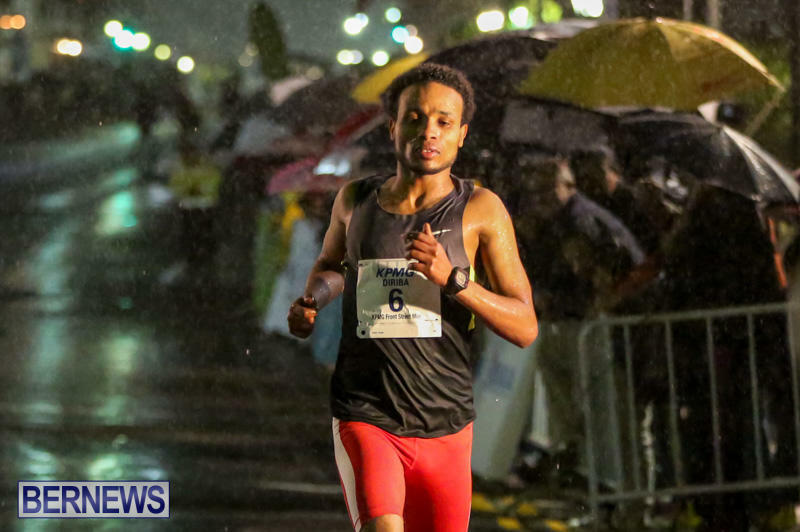 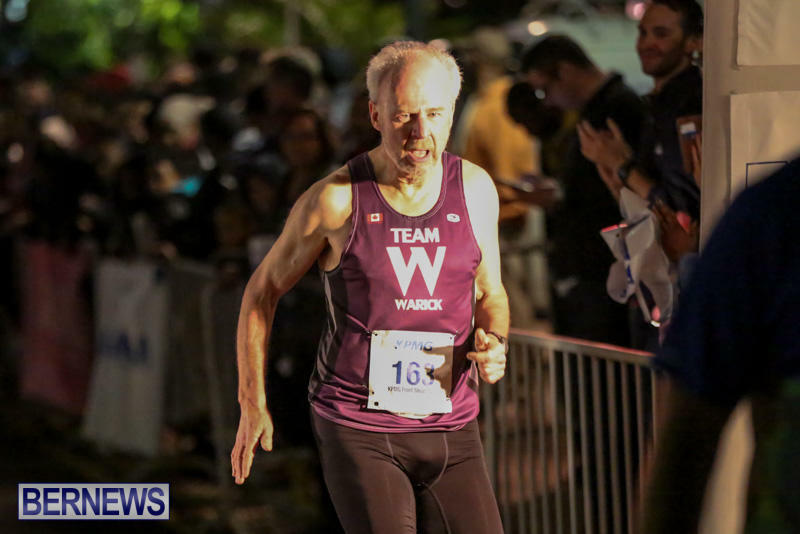 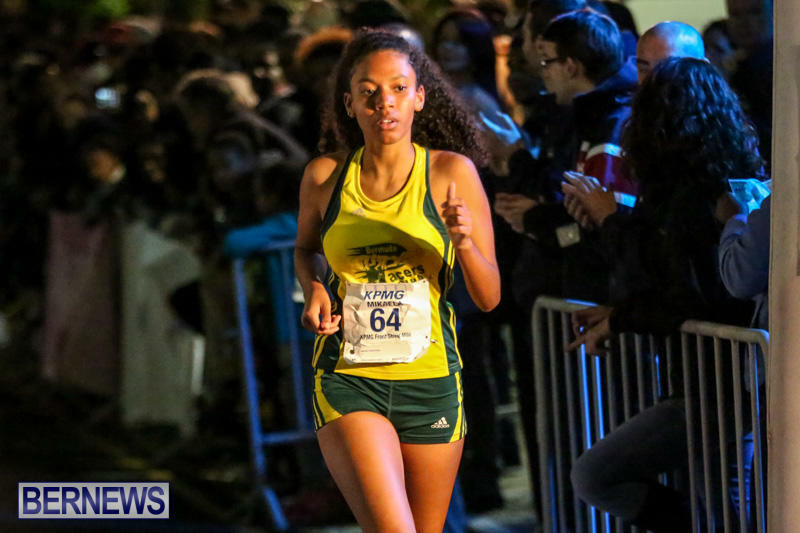 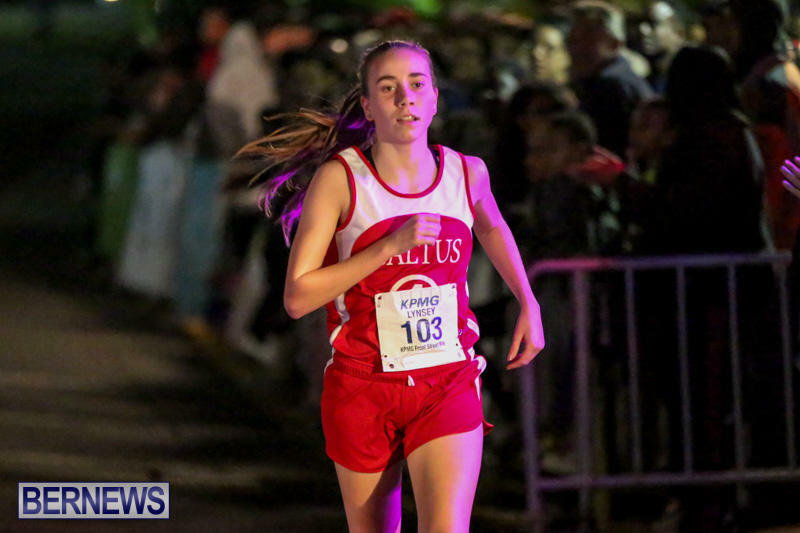 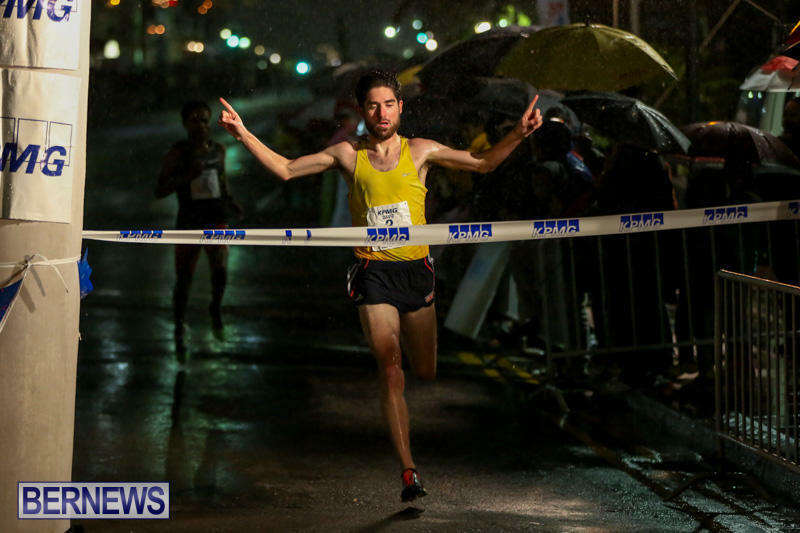 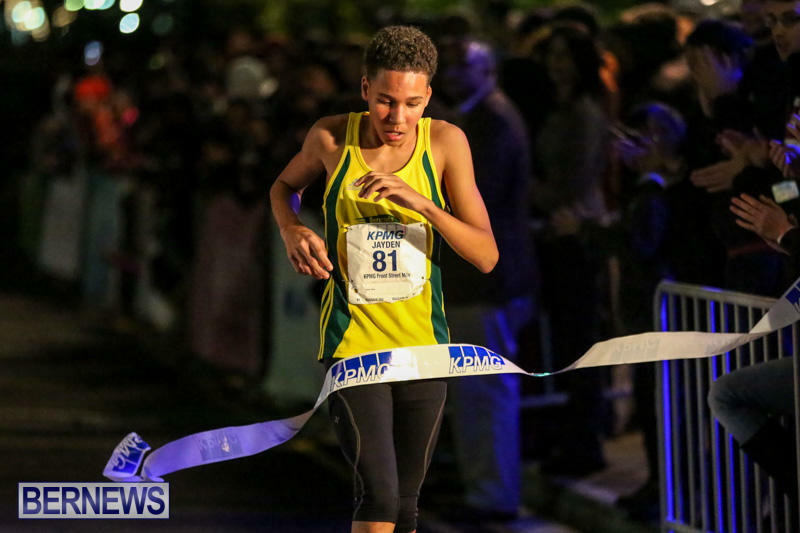 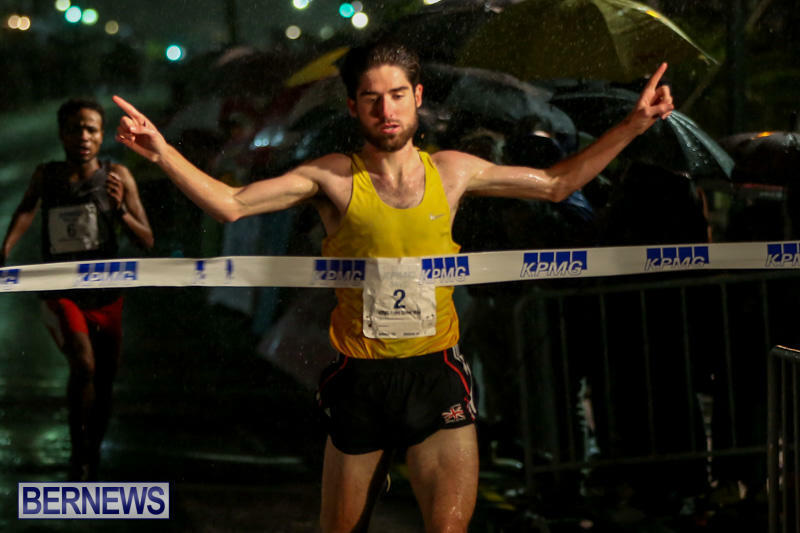 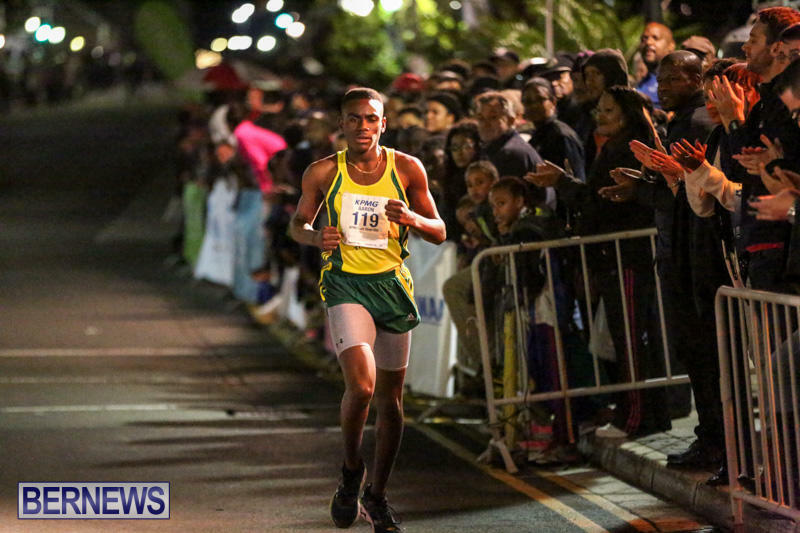 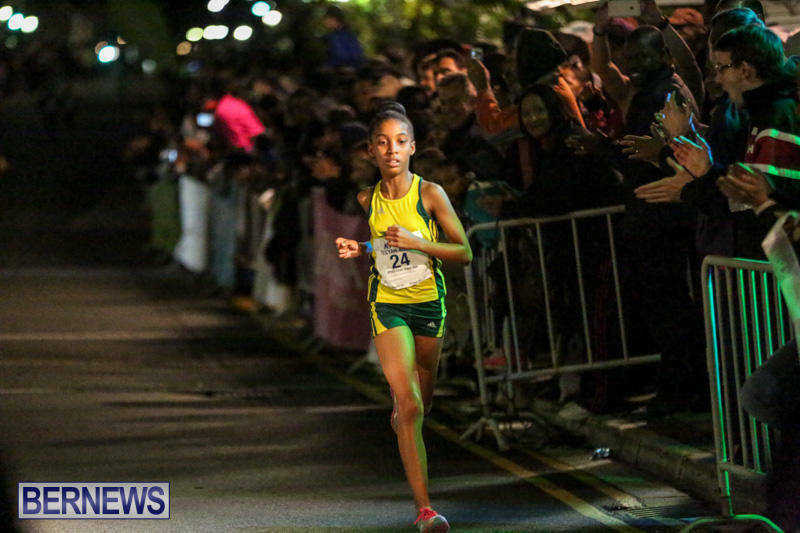 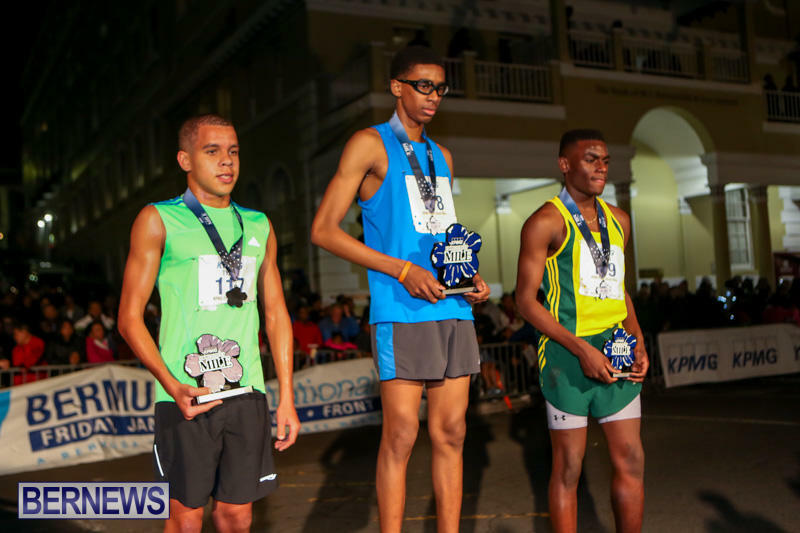 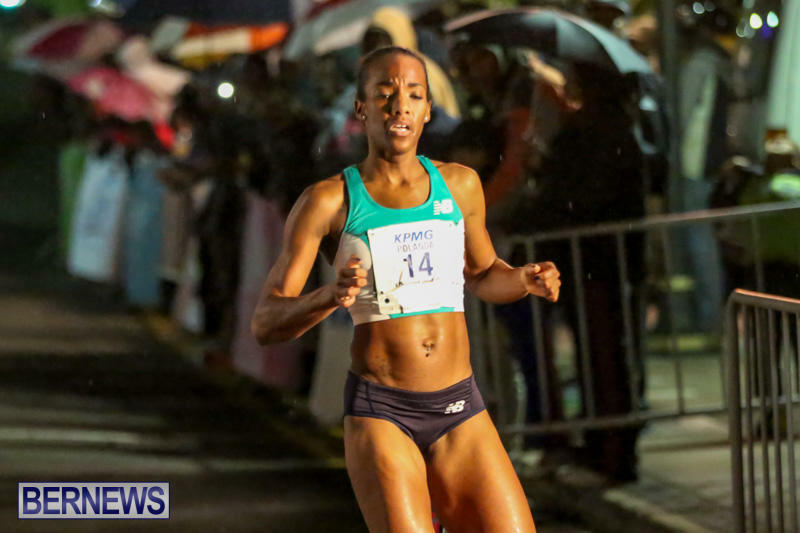 “The KPMG Bermuda Front Street Mile has a long standing history of attracting local athletes and elite, international runners from across the world and this year is no different. 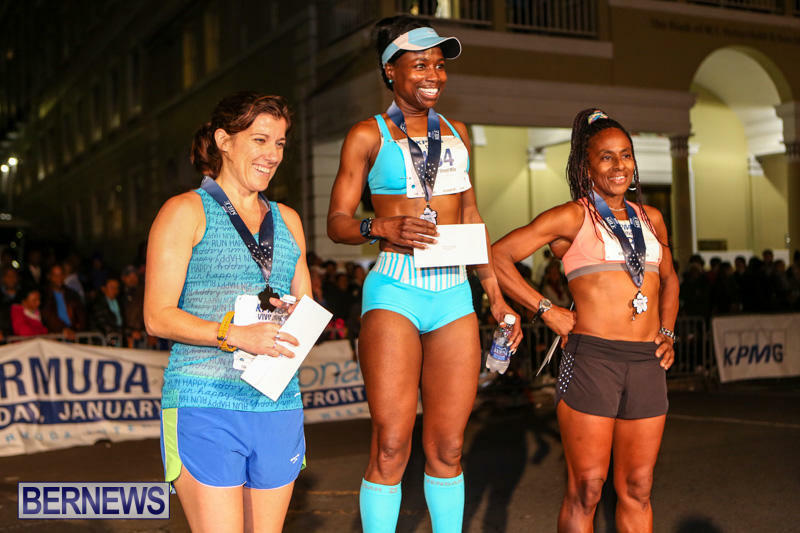 “The highlight for this year’s race, we will see a showdown between Heather Kampf, who has won three times and Kenia Sinclair who has won twice, but holds the record. 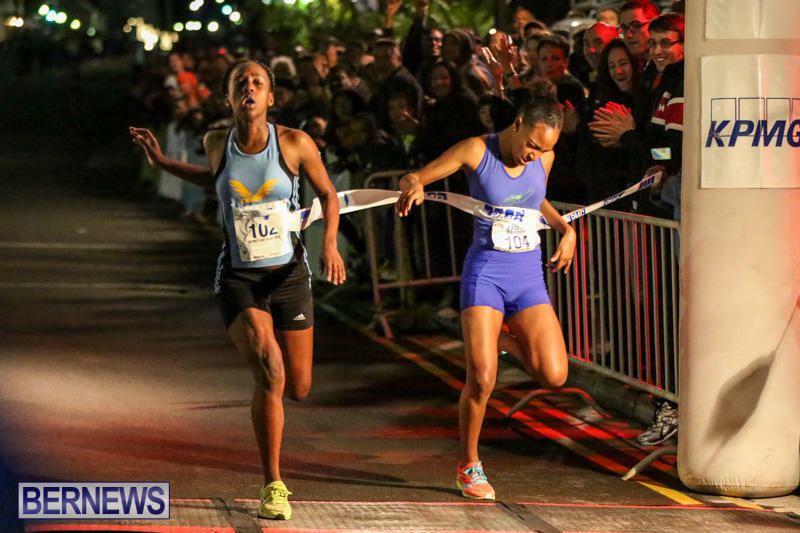 Both athletes will compete against each other for the first time! 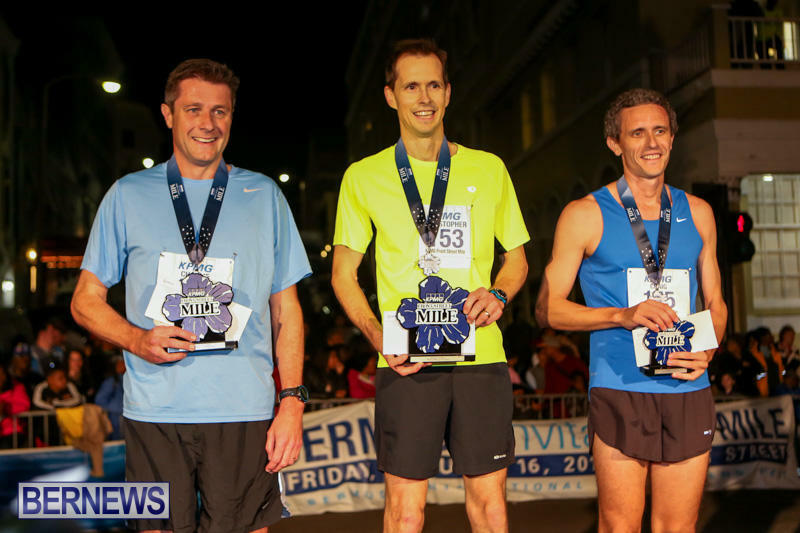 “Participants can collect their bib number between 5:30pm – 8:00pm at the Lower Level No. 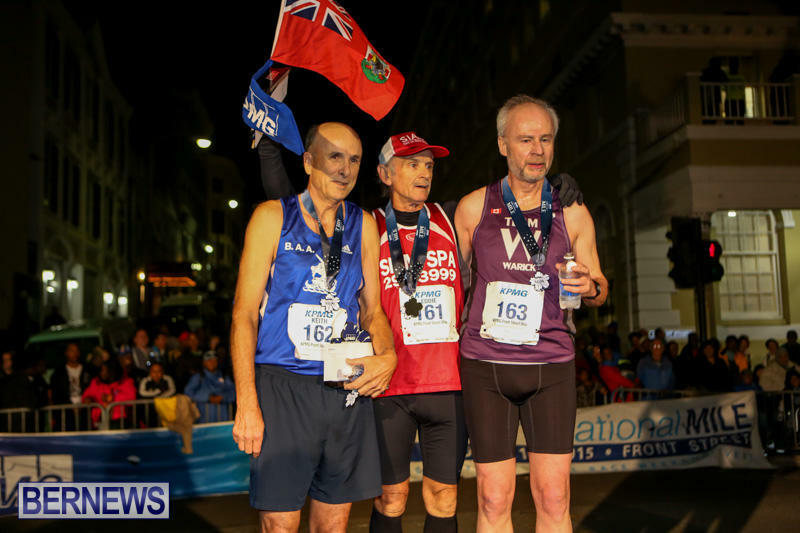 6 Passenger Terminal, Front Street, Hamilton. 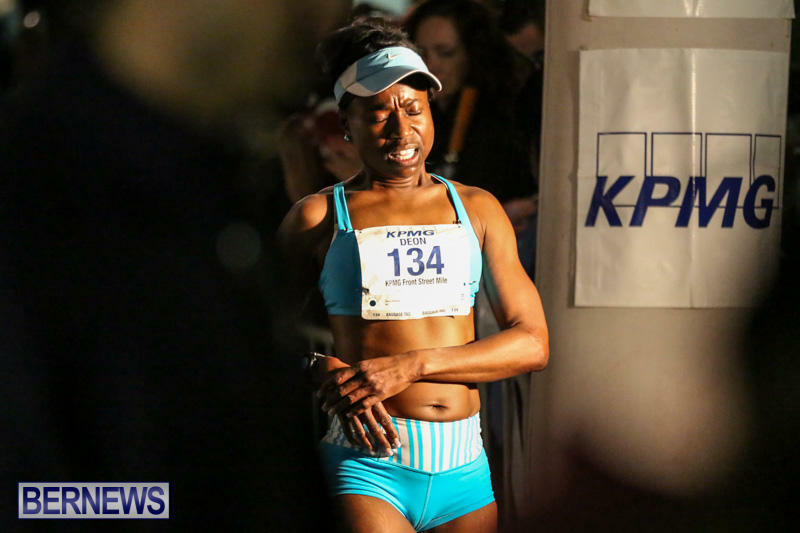 Runners should collect their numbers at least half an hour before their race. 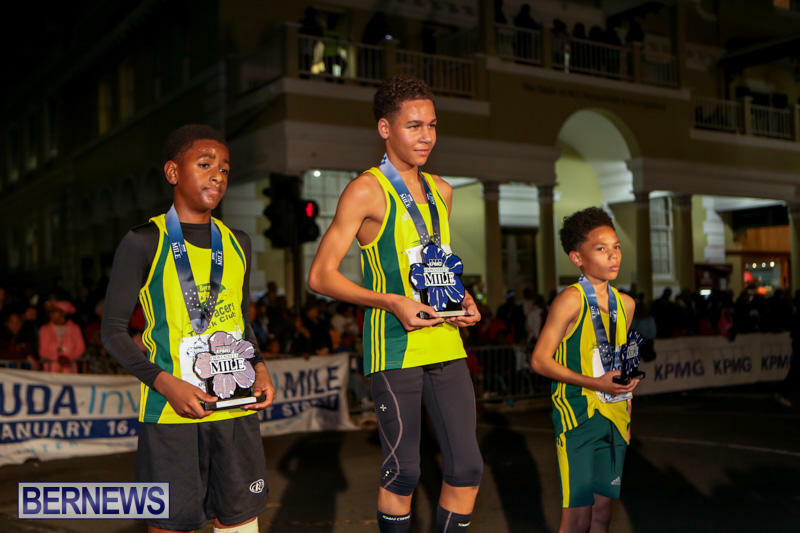 The Royal Bermuda Regiment Band will kick off the event at 6:30pm with the Bermuda Triangle Challenge Mile starting at 7:00pm with the primary school girls following at 7:40pm. 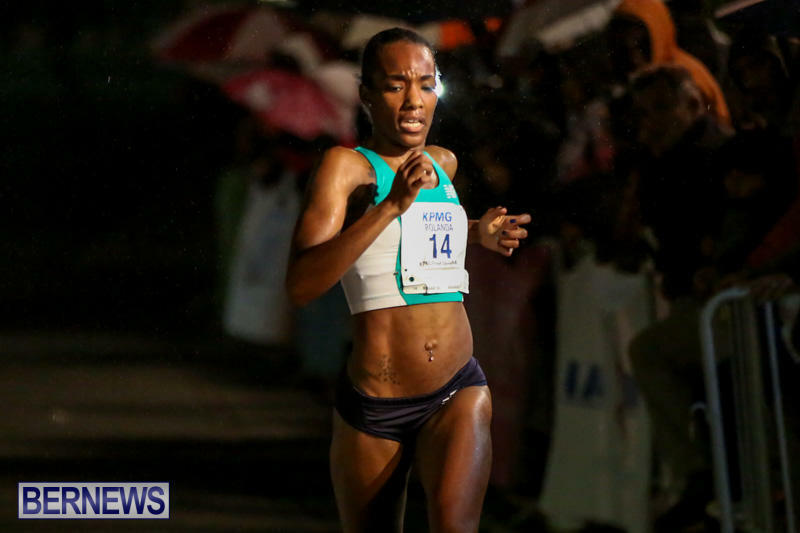 “Additionally, different from previous years, there will be a race walking exhibition. 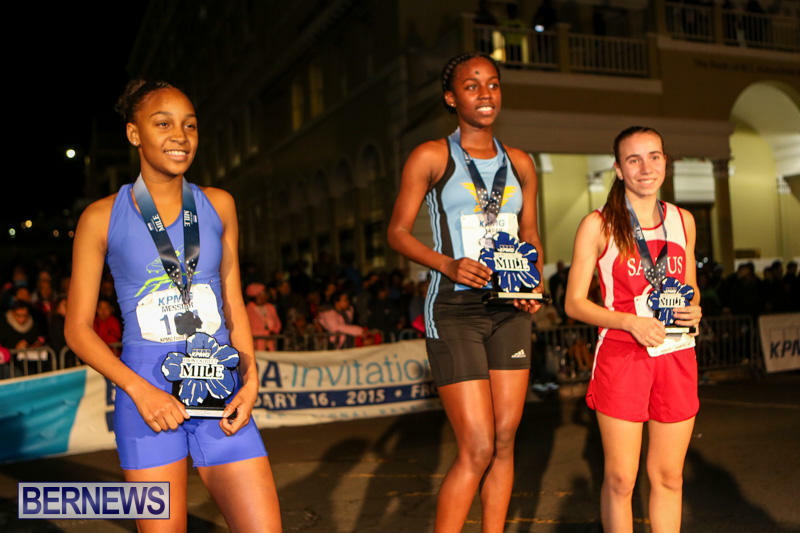 Spectators will watch as competitive walkers showcase their chosen form of athletics on Front Street, as they walk the one mile route. 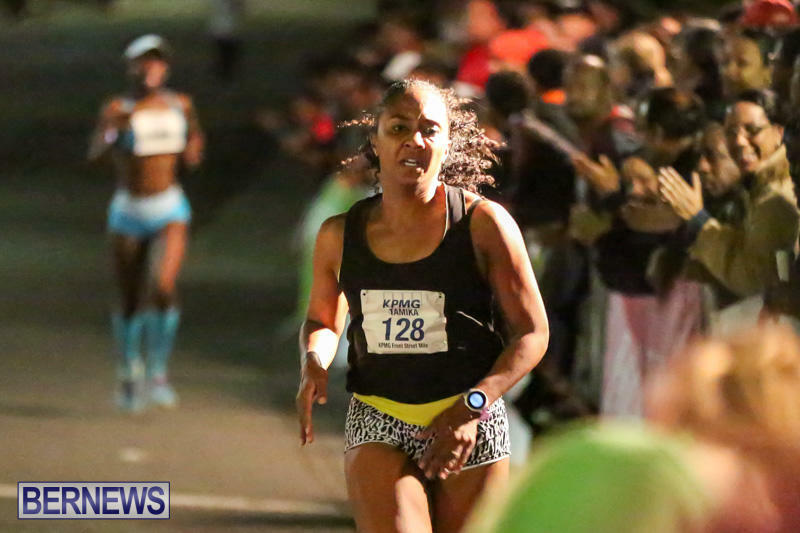 Race walking is a long-distance foot race discipline. 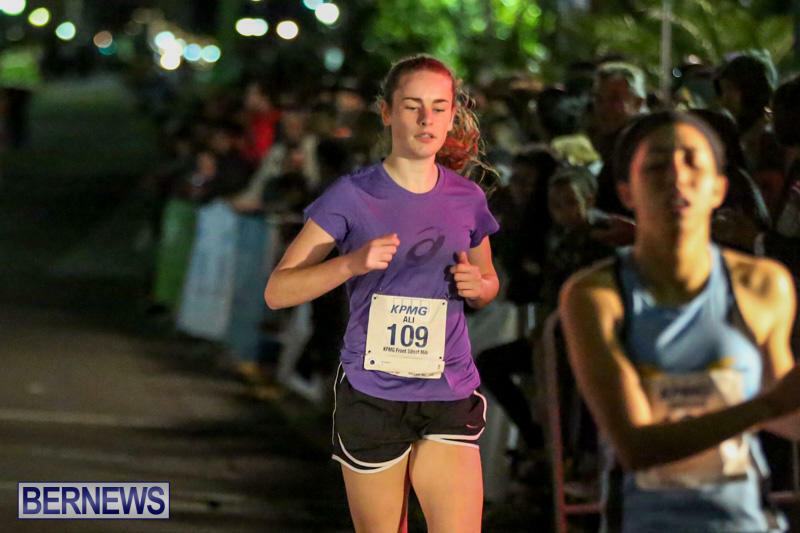 “Unlike running, this race is assessed by judges and one foot must appear to be in contact with the ground at all times.